With a client base of almost 4,000 organizations globally, the Admin Tools product has held a Top position with a “Most Popular” rating on the ArcGIS Marketplace since it’s launch. 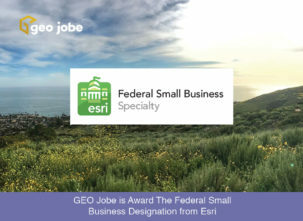 Brands such as Esri, BP, Red Bull, Apple, The World Bank and many more trust Admin Tools to streamline administration of Esri’s ArcGIS Online technology. But did you know that these benefits are also available to users of Esri’s Portal for ArcGIS software. Admin Tools for Portal exposes the same suite of administrative tools for ArcGIS Online, but packaged for deployment on your I.T. infrastructure. Let us answer some questions for you. Most Portal for ArcGIS users are large organizations that demand the full power of the ArcGIS Platform, but behind their firewall and on their infrastructure. As a result of their size, large amounts of named users and content also generally existing in these environments. These factors are why customers / users are so excited about this product. 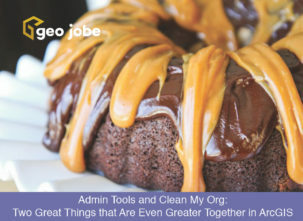 As content and users grow, so does the value of Admin Tools. You may have some questions regarding Admin Tools for Portal. Our customer support team handles numerous requests for information and has some useful resources that can assist you. The following are a few Frequently Asked Questions that they receive via our Knowledge Base. 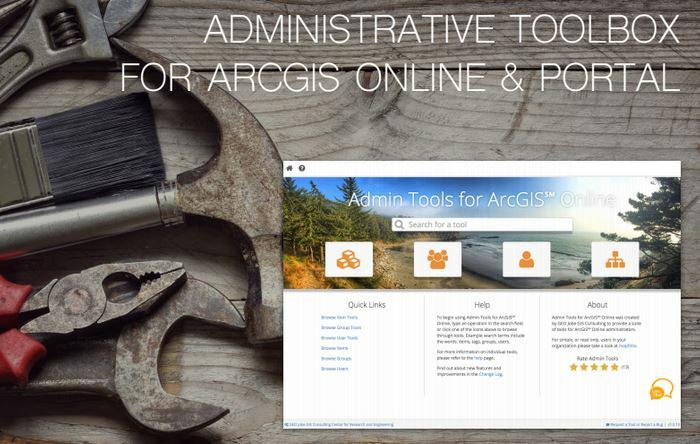 Q: Does Admin Tools for Portal work like Admin Tools for ArcGIS Online? A: Yes. Admin Tools for Portal has been designed to look, feel, and work just like it does in ArcGIS Online. You have access to the same interface and workflows. 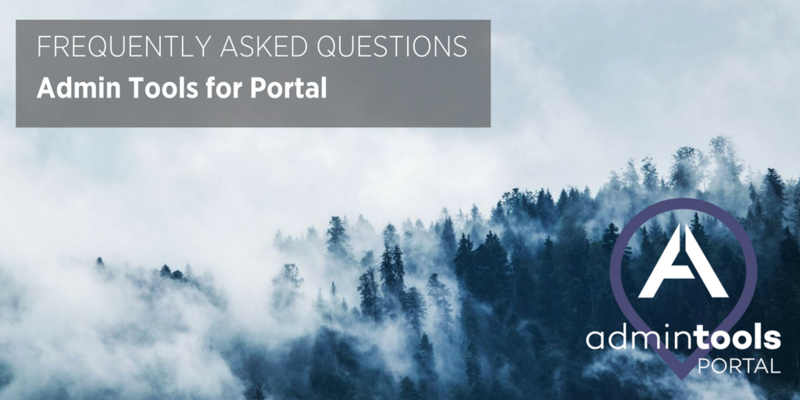 Q: Does Admin Tools for Portal offer a trial version for evaluation purposes? A: Because Admin Tools for Portal requires a build custom-tailored for and professionally installed to the user’s portal environment (which is generally different for every organization), and because the build and installs are very time and resource-intensive, we do not currently offer a “trial” of Admin Tools for Portal. If you are interested in how the tools work, and have content on ArcGIS Online, please try our basic version of the tools. If you are unsure about whether Admin Tools for Portal can be installed on your infrastructure, please visit our product page, and contact us to request a technical meeting to discuss installation. Q: Will a license of Admin Tools for Portal cover my access to ArcGIS Online, as well? A: No. 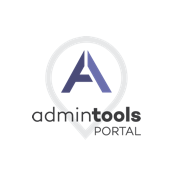 Admin Tools for Portal is a separate license from Admin Tools for ArcGIS Online. One license will not provide service to both ArcGIS Portal and ArcGIS Online. Q: How many licenses will I need? Do you scale by the number of named users? A: We do not license by number of named users. Licenses to Admin Tools are purchased by number of owned Portals. For example, If you have separate Development, Pre-production, and Production Portals, and you you would like to use Admin Tools for Portal on each of those Portals for Administration or content migration via cloning, three licenses would be required. Q: Can the Cloning Tools be used to migrate data from one Portal environment to another, or from Portal to ArcGIS Online? A: Yes, but there are specific caveats, and best-practices to take into consideration when performing the clone operations. Please see our Knowledge Base articles regarding cloning. Additionally, you will need the appropriate license of Admin Tools for both the origin of the content as well as the destination where the content will migrate to. A: Admin Tools for Portal currently works in Windows Server (2008 or 2012). Any typical Windows server used as a web server should have enough RAM, Disk space, CPUs, etc. to run Admin Tools for Portal. Admin Tools for Portal is run via web browser, such as Google Chrome, Mozilla Firefox, and Microsoft Internet Explorer.